Is your Resistance Killing You? Many people find it difficult to open to their inner feelings, especially the painful ones. When we suppress our thoughts and feelings we stagnate our natural flow of consciousness. Our emotions and emotional energy is supposed to move through our lives without restriction. The experience of our true nature is distorted when there is non-flow. The fears we have, albeit unsubstantiated, appear real in our thoughts and emotions. This often prevents us from actually feeling them because we push them away or bury them deeper. Fear of feeling, and resistance to feeling, causes more suffering than the original feeling itself. It is very important to allow all emotions and feelings to be present without control or resistance. If they are negative, very quickly they will move through and change to positive when we do not struggle or give energy to them. Everything we desire in life comes out of unrestricted energy flow. Non-interference is the quality and action of consciousness. When we mimic it (consciousness), we experience it. When we hold on to anything at all, (people, self image, beliefs, emotions, lack of self value etc.) we decrease the likelihood of attaining joy and grace in our lives. This is our God-given right to have but many of us find it near impossible to achieve. When un-restricted flow is created, all experience is positive. Divine consciousness is never negative. When it flows through our lives without any resistance, control, or any form of hindrance, life falls into direct alignment to the energetic quality of spirit/consciousness. When you are centered in flow, your natural state magically appears in your conscious reality. Your natural state emanates from your very own personal fragment of God that resides within. This fragment carry’s all of the pure loving nature of the bigger piece of God. Think God – Think you, there is no difference. By stopping positive or negative emotions and feelings from moving, we are hindering something that is inherently designed and meant to move. 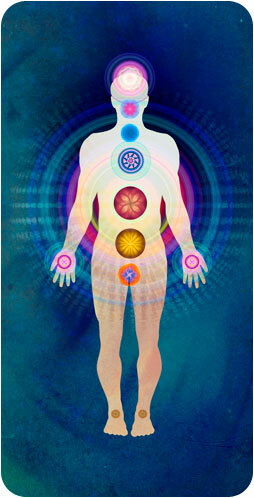 Every illness and disharmonious experience can be traced back to an energy block held somewhere within your body. We often hold on to people, experiences etc because we do not want to lose what we have got. When we attach and or hold on, we are being counter-productive to love and grace. This will always eventually take you further from what is your divine right to experience. Okay so what can you do to minimize resistance? The simple answer is to allow yourself in all moments to feel your feelings. Don’t restrict them regardless of if they are positive or negative. When you feel your feelings and not involve yourself in what caused them, you hop into the divine boat to happiness, joy, and abundance. The mistake most people make in life is they get involved with the causes of their feelings. This always creates dysfunction, judgment issues, resentment, and a whole gambit of unwanted issues and experiences. This will eventually lead to illness and if continued, pull you into a very unhappy life. Whatever emotion you maybe feeling, observe, don’t try and control it, and most definitely don’t resist it. Merge into the energy of the feeling/emotion and allow yourself to fully experience it without judgment, condition. Just “be”. This guarantees movement into positive consciousness flow. Everything that comes out of divine consciousness flow is always better then what came before it. Consciousness is always moving upwards. So if you are holding on to something or one currently out of fear, lack or insecurity, or even if it is a wonderful experience, realise if you let go, consciousness will give you an experience that is better. This entry was posted in Uncategorized and tagged Acension, consciousness, Divine Love, enlightenment, happiness, Heart Resonance, internal energy, law of attraction, meditation, philosophy, spirituality, trevor gollagher. Bookmark the permalink. 2 Responses to Is your Resistance Killing You?